I was refused a visa in 2015 and received the letter with the explanation for the refusal and code etc, however there is no stamp in my passport showing I was refused. In years gone by (admittedly many years ago) a refusal was also indicated on one of the last pages of one's passport with a small stamp. Of course I know it is recorded in their database however I am wondering if the paper refusal stamp has been completely done away with. My application was in the USA, New York. Does the UK no longer stamp passports with a small stamp like shown above? Does the UK no longer stamp passports with a small stamp? Background. When an entry clearance application was received, a blank page would get a standard 'received' stamp on it. The stamp contained the date and the post number. 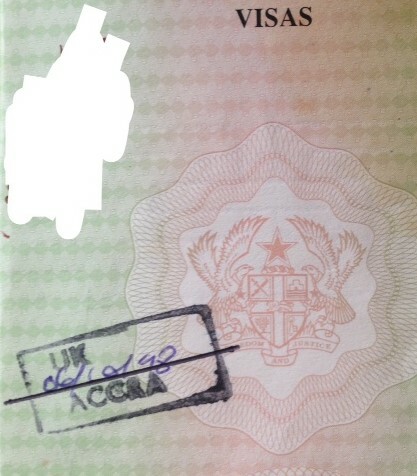 If the application was approved, the entry clearance vignette was affixed over the 'received' stamp and end of story. For refusals, an assistant used a straight-edge along with a black ball point pen and drew a line through the 'received' stamp from one side of the page to the other. Nothing else was done to the passport, and there were never any comments or other indicators. a barrister at Garden Court Chambers. Both have represented casework in the last month where the person had a recent entry clearance refusal. I checked with both of them today. The consensus is that the practice of using refusal stamps has stopped, but intermittently so. Some posts are still doing it, apparently at the direction of the post Entry Clearance Manager (presumably for situations where biometrics were not captured or for non-biometric passports). Upon entering the UK at Coquelles on 14 March, I asked the border officer checking me about this, and he said that visa application centres "recently" stopped issuing visa refusal stamps, instead recording it electronically using your passport and biometrics. Furthermore, a Canadian passenger on the bus had been refused a visa shortly before, and was trying the visa-free route. He got no sign of the refusal in the passport. From what I understand they do not issue a refusal stamp, all refusals are now done in digital form. The refusal is entered into the system and is known forever. So if the person denies ever being refused a visa, then it is an automatic refusal for lying. And just a heads up. This is the kind of information that the Immigration department utilizes in future applications, if you fail to mention the refusal you are going to be refused for misrepresentation. Not the answer you're looking for? Browse other questions tagged visas uk visa-refusals passport-stamps or ask your own question. When did Five Eyes countries phase out refusal stamps?